The loss of talented national staff to international organisations is a continued source of frustration for national NGOs in the Philippines, and indeed throughout many crisis affected countries. Following Typhoon Haiyan in November 2013, numerous Filipino NGOs lost staff to international NGOs and the UN, often with detrimental consequences for their own work. 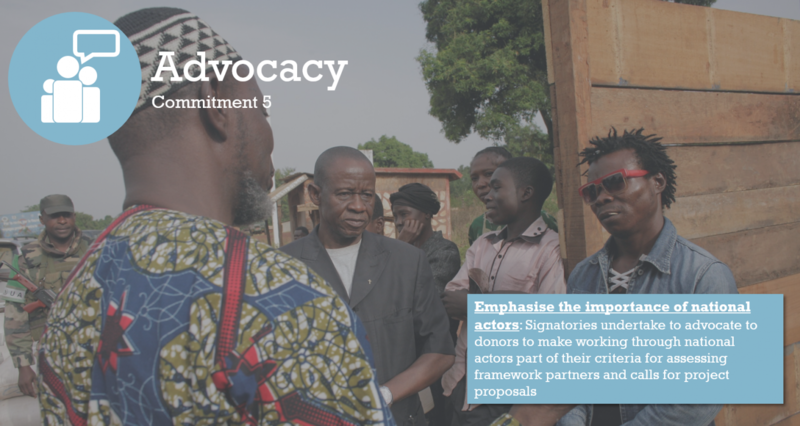 INGOs who have signed the Charter4Change have pledged to try to address this issue within their own organisations. 4 of them have come together to undertake a piece of research to investigate the impact of this on national NGOs as well as trace the longer-term impact on the careers of individuals recruited. This study, jointly commissioned by CAFOD, Islamic Relief, Christian Aid and Tearfund will focus on a small number of national NGOs in the Philippines who lost staff to international NGOs and UN agencies in the immediate aftermath of Typhoon Haiyan (November 2013). The project will aim to research national NGO experiences of recruitment for surge by international NGOs and attempt to identify good practices as well as document impact, and develop recommendations and an action plan for taking the findings forward within the START Transforming Surge Capacity Project, TSCP, feeding into the evolving Philippines surge roster, and more widely in the humanitarian sector. The study will approach the issue by examining the impact of staff loss by national NGOs, what the costs and implications of this for the organisation and how over the course of the following year the organisation addressed this loss of staff. The research will also seek to identify the views of national NGOs in terms of how international NGO best practice could compensate them for the loss of their trained humanitarian staff. It will trace the national NGO staff which were recruited by the INGOs and UN agencies to understand both the pull and push factors which led them to move jobs. This will include documenting issues such as differences in salaries and terms and conditions between INGO and UN agencies and national NGOs, security of employment, and subsequent career progression.